All Scott McAllister wants is for someone to say they’re sorry. McAllister, who graduated from Wilfrid Laurier University in 2010, was among the 1,189 former and current kinesiology students who in mid August received word that they may be at risk of transmitting Hepatitis B, Hepatitis C and HIV as a result of taking part in a class activity, but that initial information was all he and the other affected students heard from the university. And that doesn’t sit right with McAllister. The 1,189 students were alerted of the potential risk because they had taken KP322 (Physiology of Physical Activity) between 2002 and 2011. Part of the course included a voluntary blood lactate test, carried out by a lab instructor. 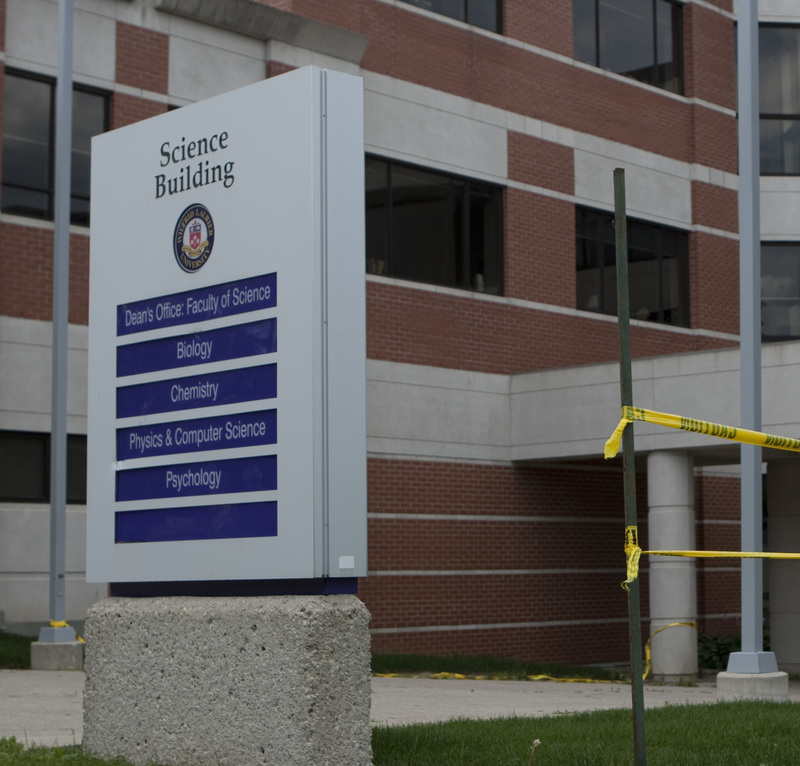 Over the summer, WLU professor Peter Tiddus discovered that the tests had not been carried out properly and there was a risk of blood contamination. The risk arose because a blood sampling device that was not meant to be used by multiple individuals was re-used during the testing. A new needle was used after each test and the blood sampler was cleaned with alcohol, however, Tiddus discovered contamination was still possible. Over the seven-year period, about 200 students volunteered for the testing, however, the university alerted every student who had taken the course, sending a letter with information on the low risk of contraction – odds of six in 1,000,000 for Hepatitis B, one in 1,000,000 for Hepatitis C and one in 10,000,000 for HIV – and how and where to get tested. But, as McAllister pointed out, the letter did not contain an apology from the university. And when he recently received an e-mail from the WLU Alumni Association asking for a donation, McAllister voiced his displeasure via an e-mail to the university. “I got that e-mail from the alumni association that you get periodically asking for donations, and I just thought ‘really? You’re right on top of those e-mails but you can’t give me any information about the fact that there was a serious risk to my health and there was no apology there?’” he said. McAllister’s e-mail was sent on Dec. 1 to questions@wlu.ca, an account the university set up to handle queries, with WLU director of communications, public affairs and marketing Kevin Crowley, kinesiology professor Stephen Wenn, director of safety, health, environment and risk management Stephanie Kibbee and faculty of science administrative assistant Sharon Lalor copied on the message. The Cord was also copied on the e-mail. 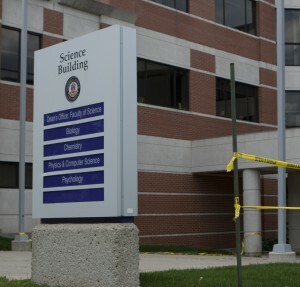 When reached for a comment, Crowley explained via e-mail Tuesday evening that the university is still in the process of “wrapping up a number of issues and learnings” on the KP 322 matter and that there is no new information available at this time because a number of key people involved in the situation are away from campus. Crowley added that WLU sent a response to McAllister, saying they appreciated him sharing his concerns and that they would be looking into the matter further. McAllister confirmed Wednesday that he had received the message from Laurier, but it did not contain an apology. McAllister said he understands the low risk involved with the situation, but he doesn’t see that as an excuse for the university’s silence on the matter, adding that even finding information on the Laurier website became difficult in the months following the initial announcement. “Even though it’s a low risk, the thought pops into your head. ‘What if I did get something, why should I have to deal with that three years after graduating?’” he said. “The magnitude of the situation, the fact that there was hundreds of people tested wrongly, deserves more of a response than one e-mail, a testing form and a website that wasn’t updated after the fact.